We have just updated our Primers EQX sets for Panasonic cameras. 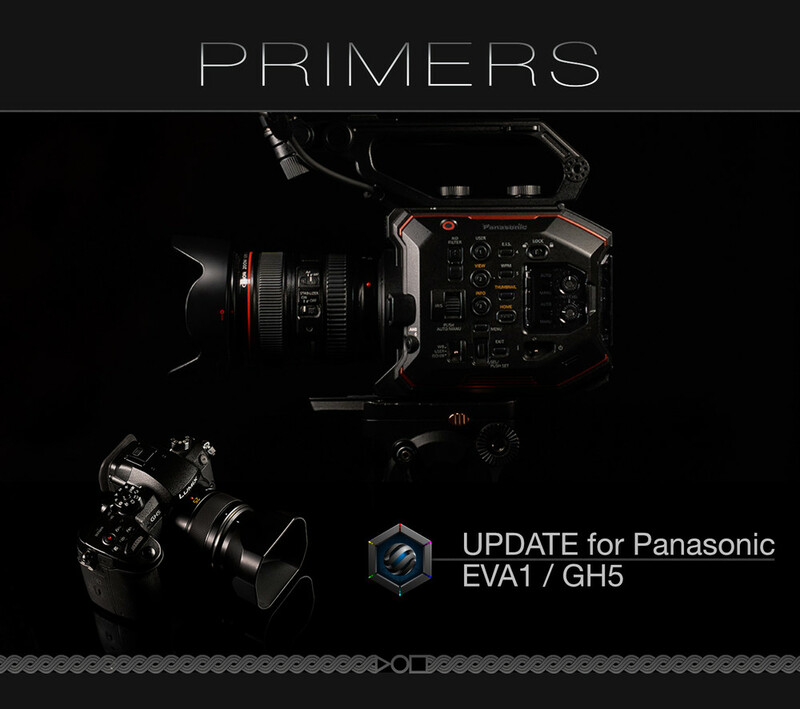 This update affects Panasonic EVA1 and GH5 Primers EQX sets, bringing significant image improvements across the signal range and shooting scenarios. Multiple microtonal optimizations are achieved, affecting accuracy, separation, organicity, richness and signal stability for post production. Image now feels and behaves more naturally, having superior transition to overexposure, which together with tonal organicity brings film-like image performance. This update also brings easier camera matching. Update is free of charge for existing Primers customers and it is hittting emails soon. Panasonic GH5S is scheduled for analysis and optimization. Primers are per-sensor and base colour science designed, scene-independent image transformations, embodied into a set of high precision 3DLUTs. Each set is designed on custom-developed, professional, in-depth camera signal analysis, to provide superior imaging results with organic and stable image basis. Primers transformation tools re-structure the signal within the transformation step from base colour science to delivery standard, implementing multiple image optimizations in aesthetic and technical parameters and additionally empowering post-production workflow.